Lunner at the Auslander was great and only partially because we were starving. We were excited to finally be on the road again and around 4pm realized all we had eaten that day was potato chips and trail mix. I had the jäger schnitzel (fried pork cutlet with a mushroom, paprika, wine sauce) and Brandon had the schnitzel burger. The beer was cold, authentic, and on tap. But the interesting part came when our waiter brought us a to-go cup. For the beer! 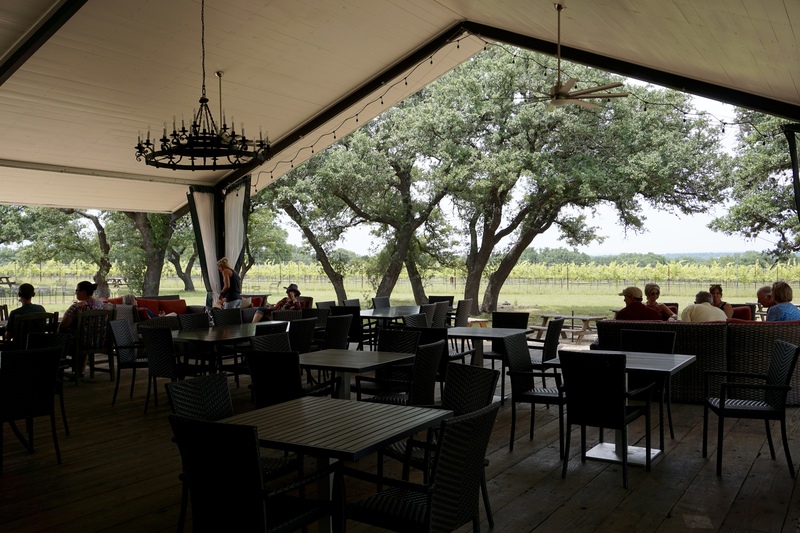 We are still in the bible-belt, land of random restrictive booze laws, but the city of Fredericksburg must have seen the potential to make some money off tourists in Texas wine country. Let them drink in the street! 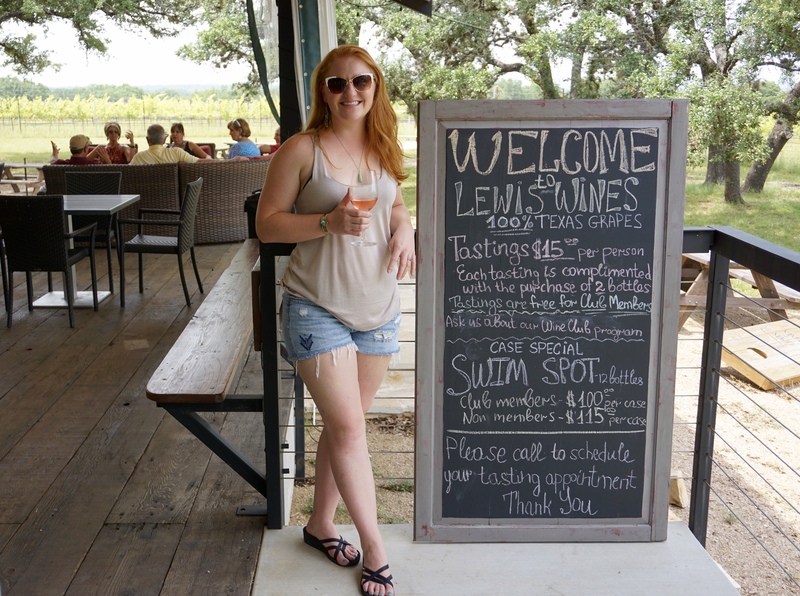 A bit buzzed, and amused by the novelty of publicly consuming, tourists are bound to spend more money in the many shops and wineries lining Main Street. Note that only beer and wine may be drunk on the street. Any establishment that serves liquor cannot give you a to-go cup, including Burger.Burger, which makes an excellent Jack and Coke slushie. While enjoying our street beer we also saw the ugly side of allowing public drinking, a drunk woman puking into a public trash can. We left downtown around 6pm (when all the shops close, even on weekends) to spend the evening at our campsite. 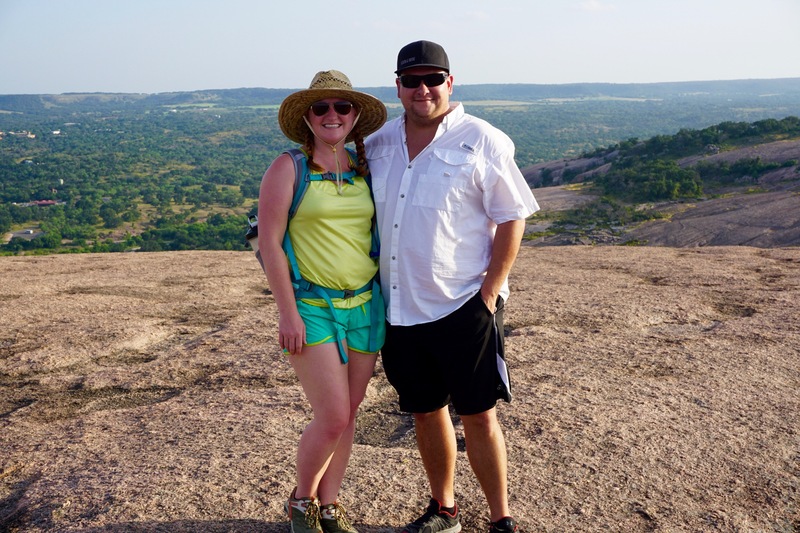 We really enjoyed the Fredericksburg RV Park and highly recommend it. 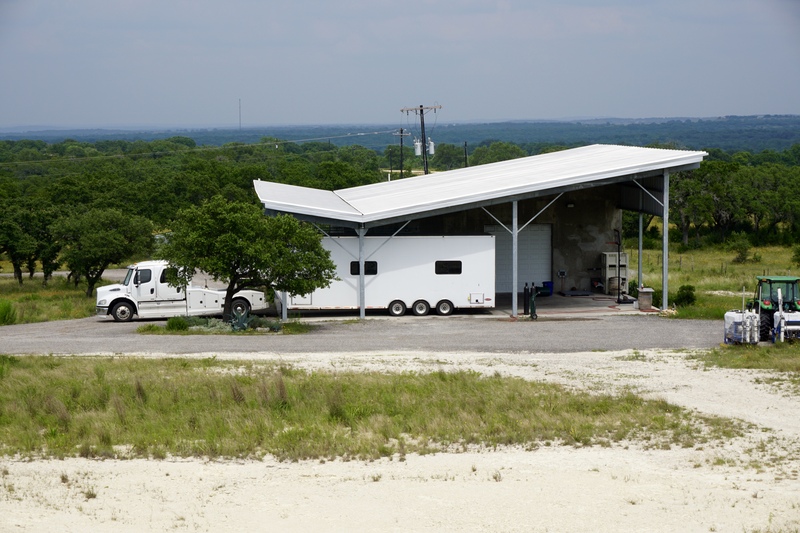 The park is a well laid out and established park with a large shade tree at each campsite. All of the streets are named after makes of RVs, like Rambler Lane and Fleetwood Avenue. We wanted Alpha Avenue but it was full. Our spot was across the crushed granite road from the Rec Hall, bathrooms, and laundry facility. They even had a free ice machine! Even more fun was the fact that we were parked next to another Safari! Safari motorhomes were made in the Pacific Northwest by a subsidiary of Monaco and they haven’t been made for around 10 years now. We saw a number of them around Oregon but so far they have been a rare sight anywhere else. In my last post I hoped that the next post would find us back on the road and with no mention of anything breaking. Well, after finally getting our roof fixed, we are back on the road. But something else has already broken. We didn’t even make it all the way through day 1. We were about to go to bed and I went to check the freezer to see if we still had maple sausages I could make for breakfast. Although there were still sausages left, we would not be having them for breakfast because they were completely rancid, along with everything else in the freezer. We carefully emptied the warm, stinking contents of the freezer into a trash bag (including a vacuum sealed bag of chicken that had expanded with gases and bacteria almost to the point of bursting) and took the whole lot straight to the dumpster. It appeared that the motor had overheated and burned up, possibly caused by dust clogging the air filter or maybe just because the freezer is from 1994. But this is not the end of the world. In fact this was not even our primary freezer. The freezer that died was actually an ice maker that had never functioned quite right, so we had unhooked the water connection and used it as a secondary freezer. The main freezer above our fridge is still working just fine. Fingers-crossed. We’re planning to remove the old ice maker/freezer when we find a good place to dispose of it and will repurpose the cabinet as extra storage. Possibly more pantry space? Maybe a liquor cabinet? Day 2 on the road was a big day, my birthday! 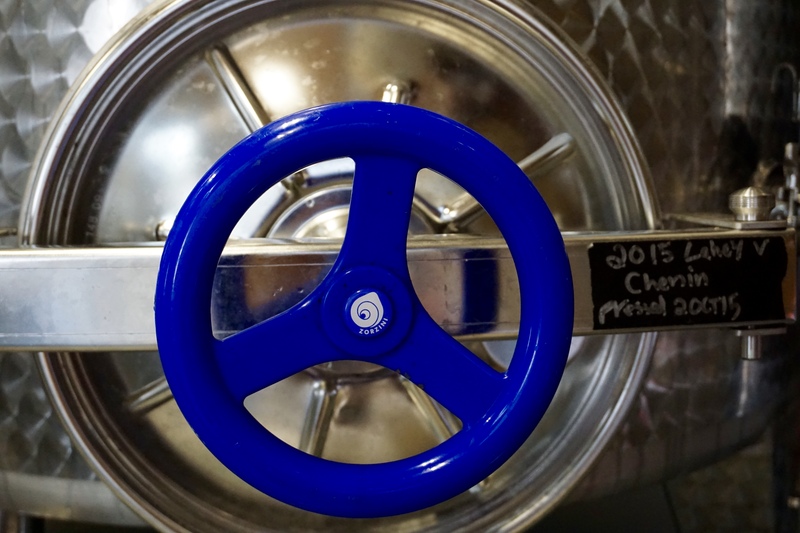 We had been invited by our friend Doug Lewis, from Lewis Wines, to come by his winery to watch the bottling process. He was bottling two different types of rose. Yum! I’ve known Doug since we were little kids and it was great to catch up with an old friend before taking off across the country. 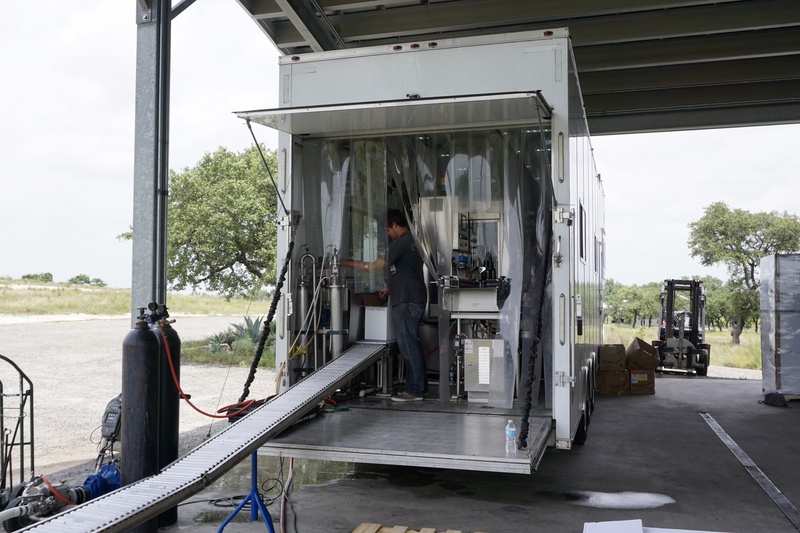 The entire bottling process took place inside this trailer parked next to the production facility. 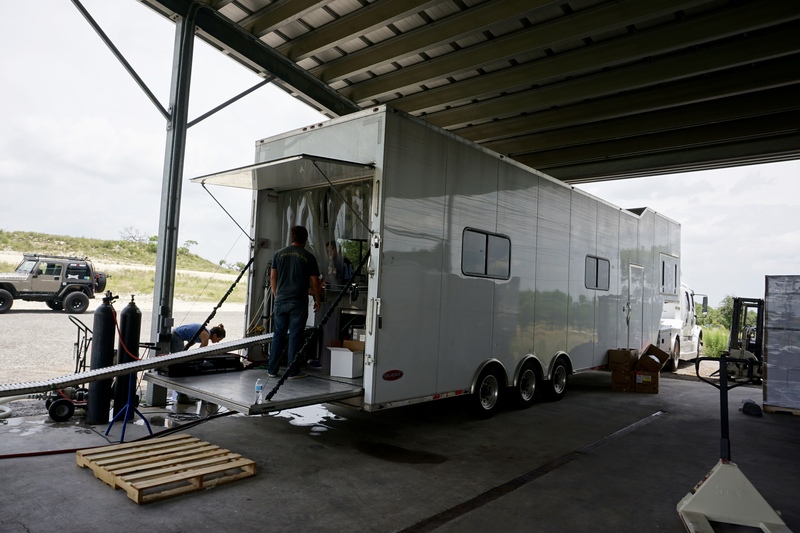 It was basically a factory inside a semi-truck trailer and it was fascinating to watch. Where the magic happens! 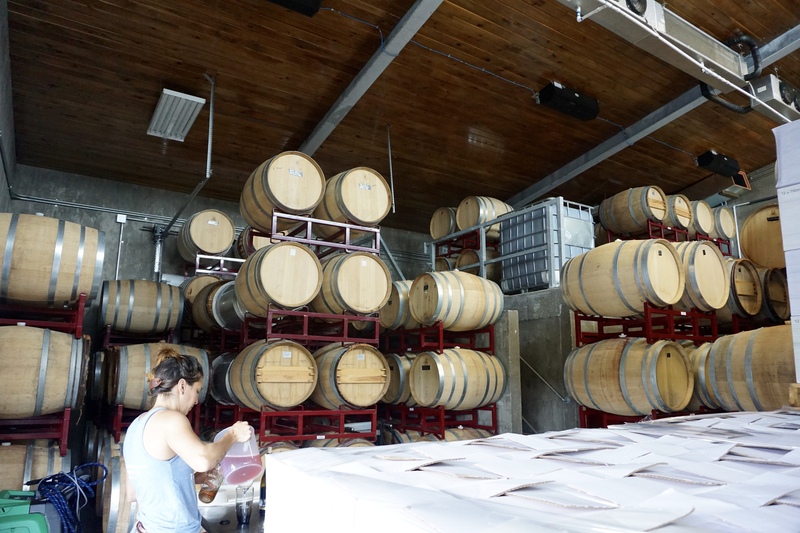 The inside of the production facility was full of barrels of aging wine and huge steel fermentation tanks. The property itself is gorgeous. This is the view from Doug’s production facility. 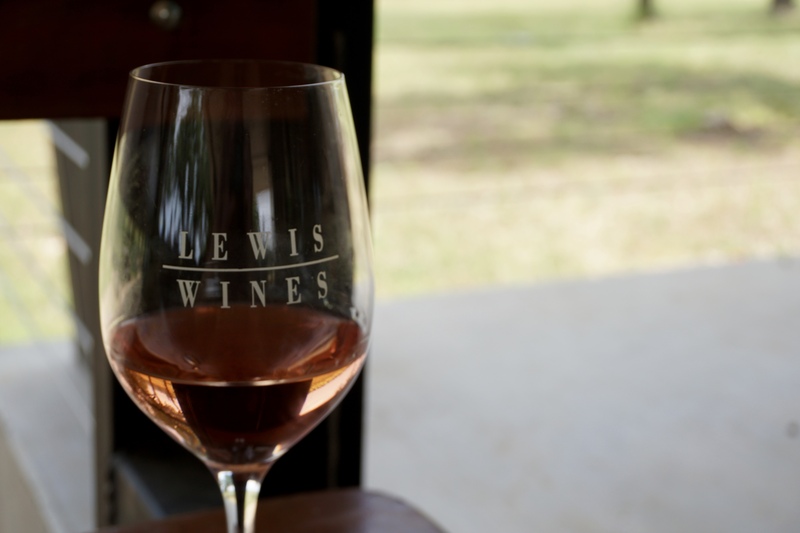 I highly recommend going to visit Lewis Wines (and not just because it is owned by my good friend). The whole place is beautiful (including the drive there) and the wines are top notch. 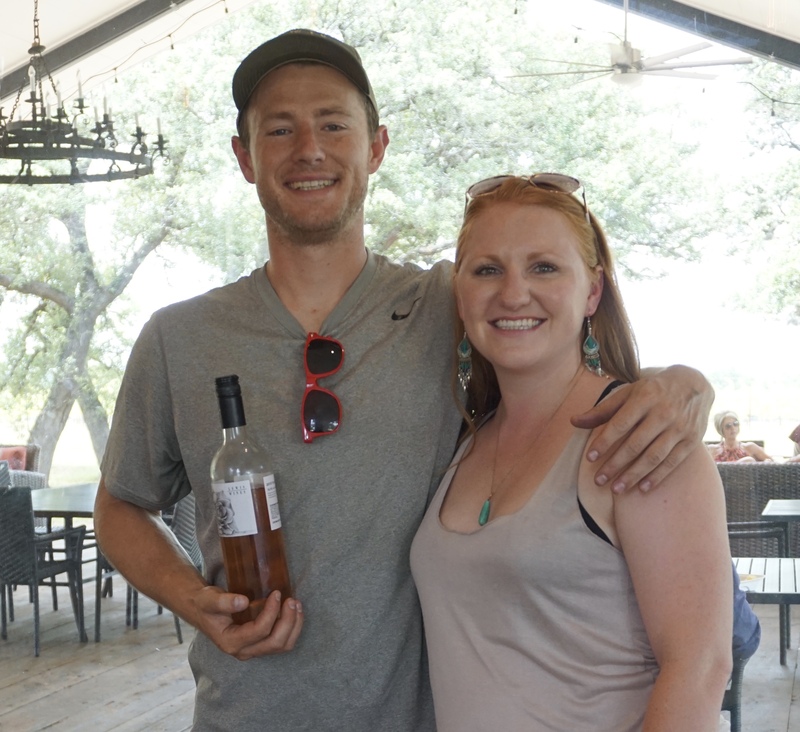 We actually served his Tempranillo and Chenin Blanc at our wedding! 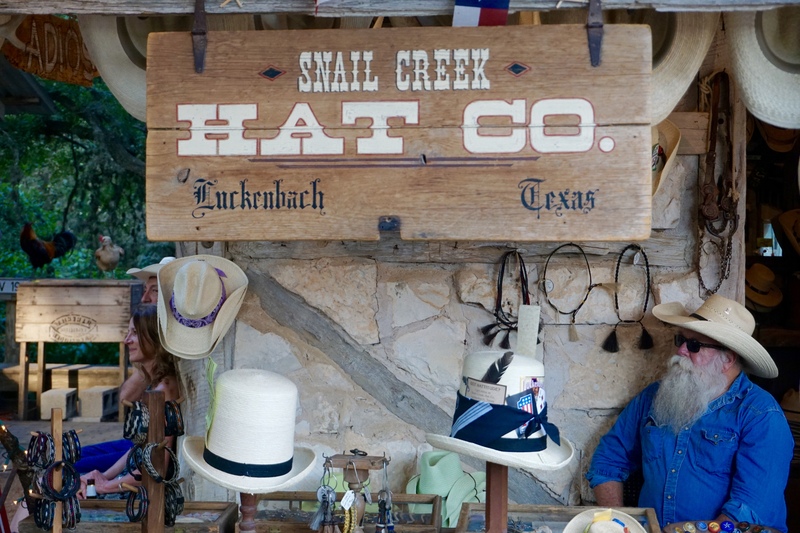 Go check them out if you find yourself near Johnson City, Texas. 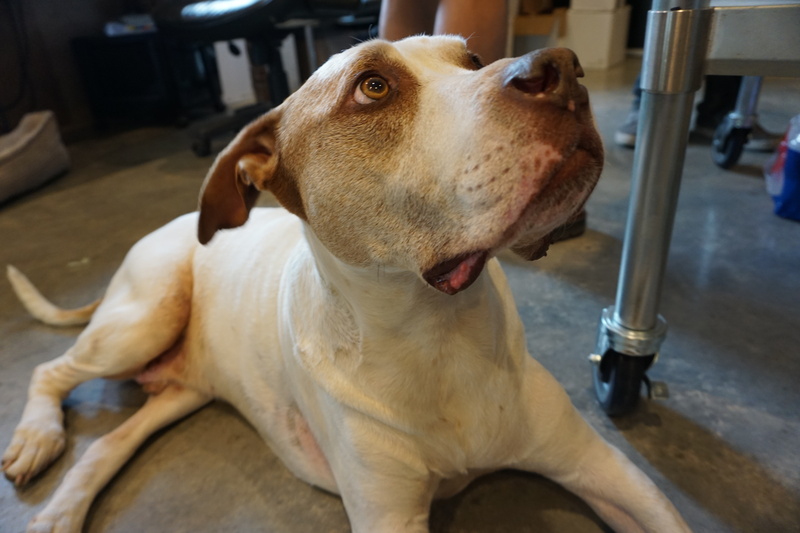 Tookie, the unofficial tasting room greeter, desperately wanted some of the french fries everyone was munching on. If he concentrates hard enough one just might fall on the floor! 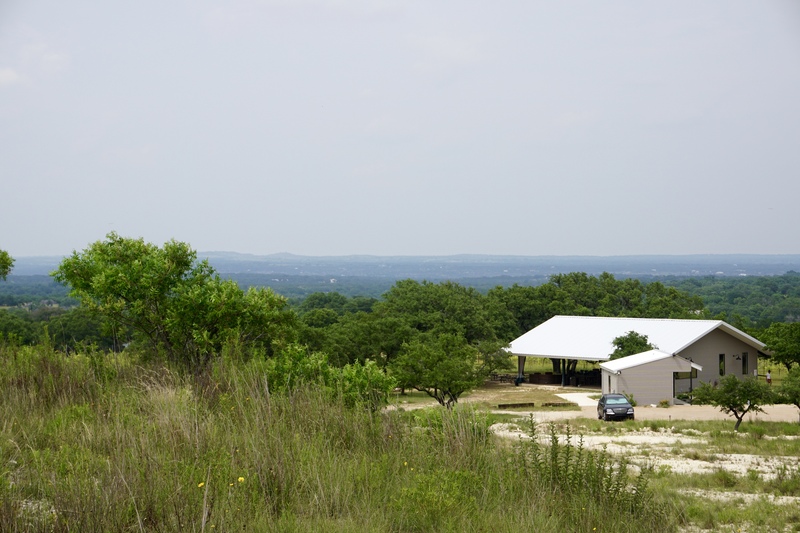 The view of the tasting room from the hill above the production facility. 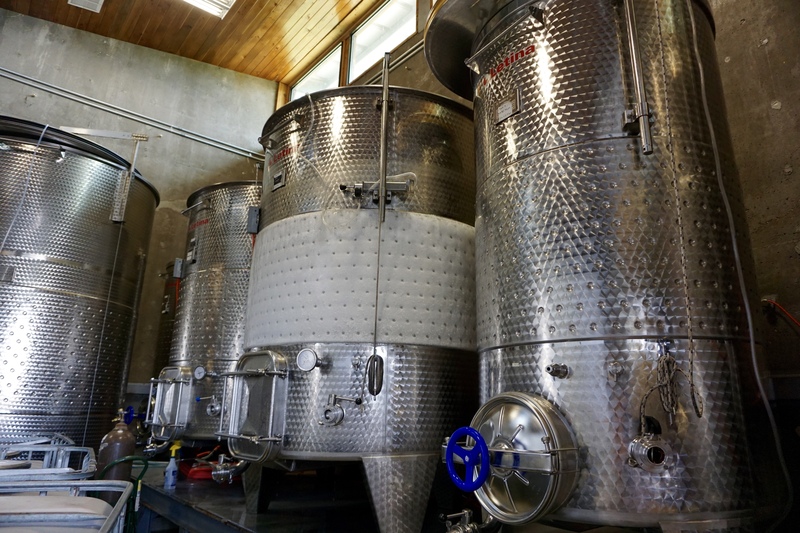 The tasting room is a relatively new addition to the property and is exactly what they needed. 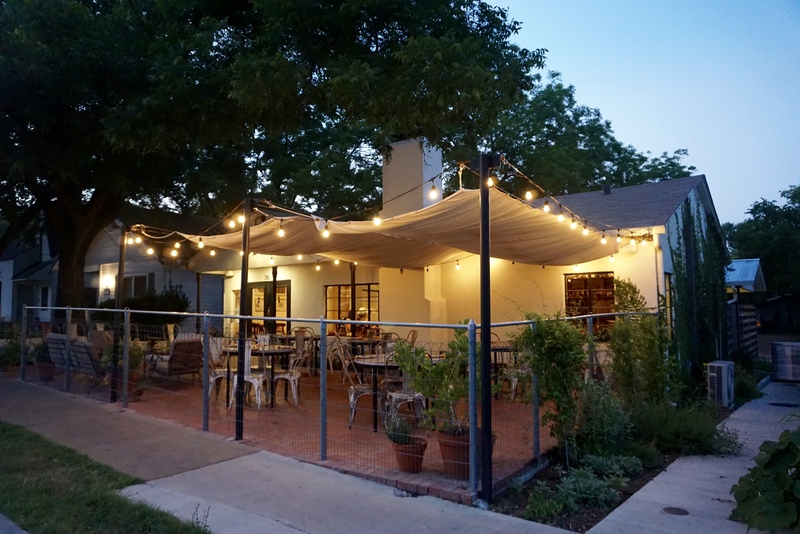 The space has an indoor bar for sampling the various wines and a huge covered patio so you can hang out and enjoy a glass of something tasty. 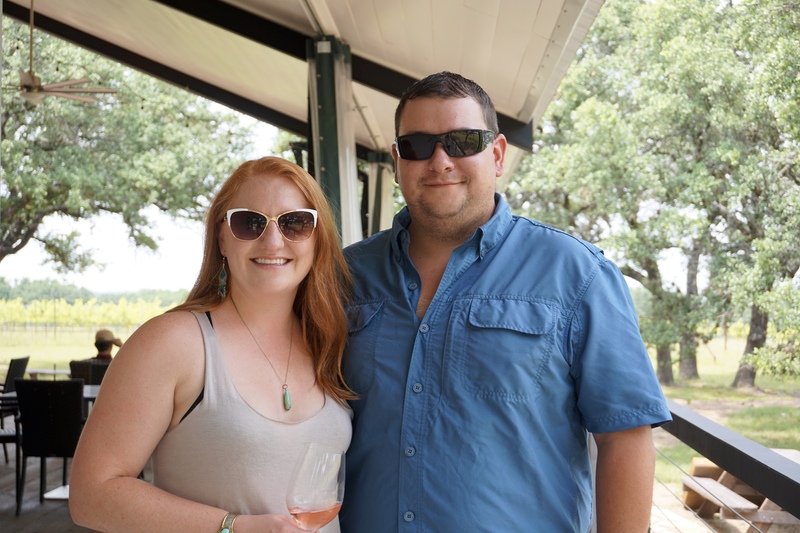 The owner and winemaker, Doug Lewis. After stopping by the RV to drop off a few bottles of freshly bottled rose (thank you Doug!) 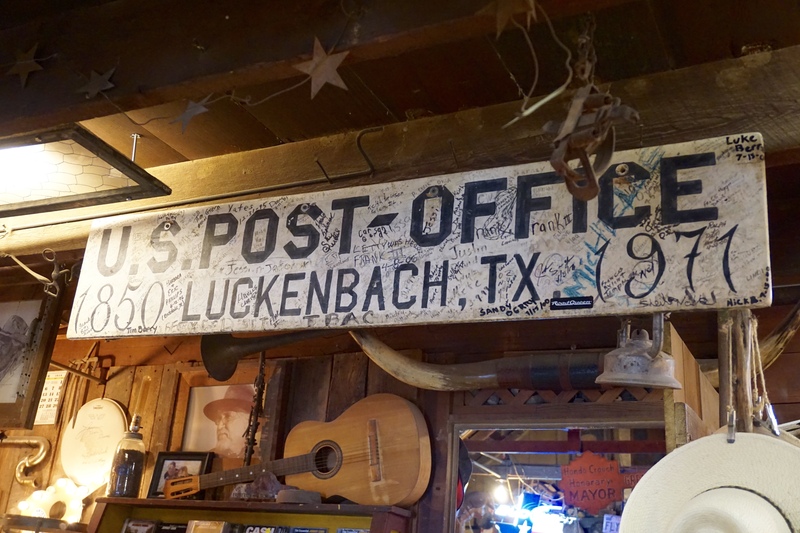 we made our way to Luckenbach, TX. 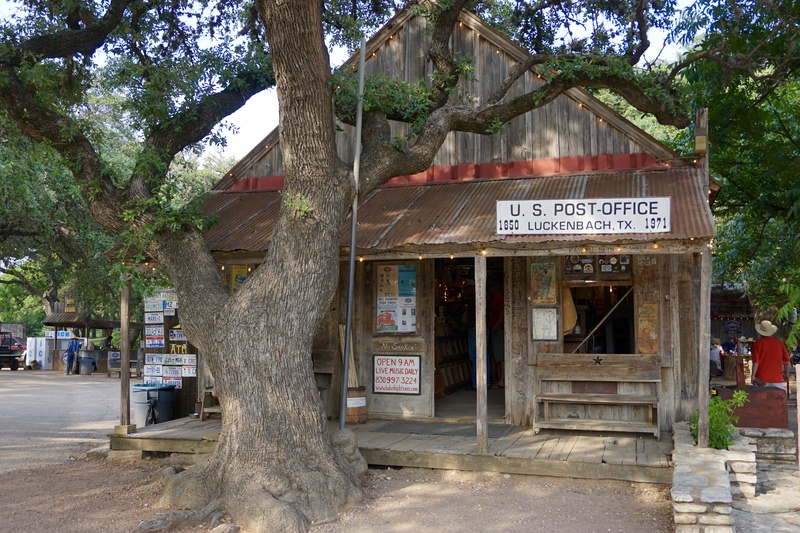 The “town” of Luckenbach was founded as a trading post in 1849 and peaked in the early 1900s at a population of 500. The post office opened in 1850. By the 1960s it was a ghost town. 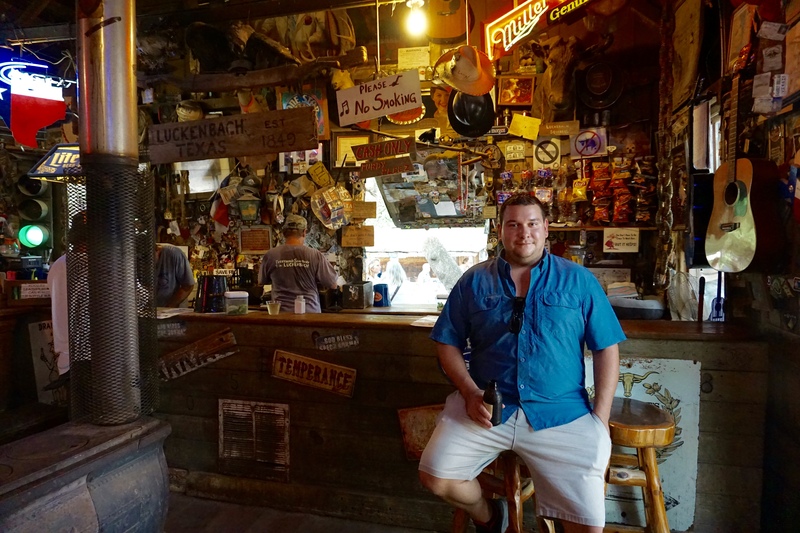 The entire town was purchased by an enterprising Texan and his two business partners in 1971 for the sole purpose off using the town’s status as a legitimate municipality to run a beer joint however they wanted. 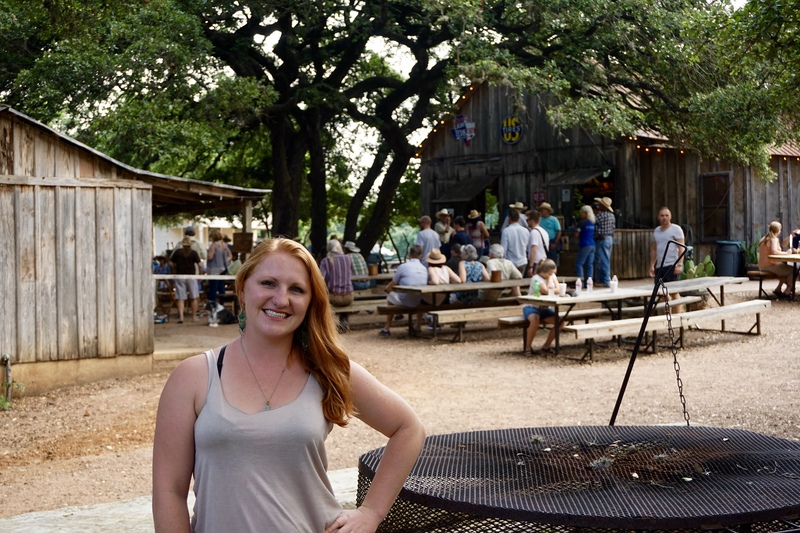 Luckenbach continues to thrive as a destination for locals and tourists to enjoy cold beer and good music under the shade of 100 year old oak trees. Although the old post office is no longer official (it serves as the bar and gift shop), they will be happy to mail a post card for you. 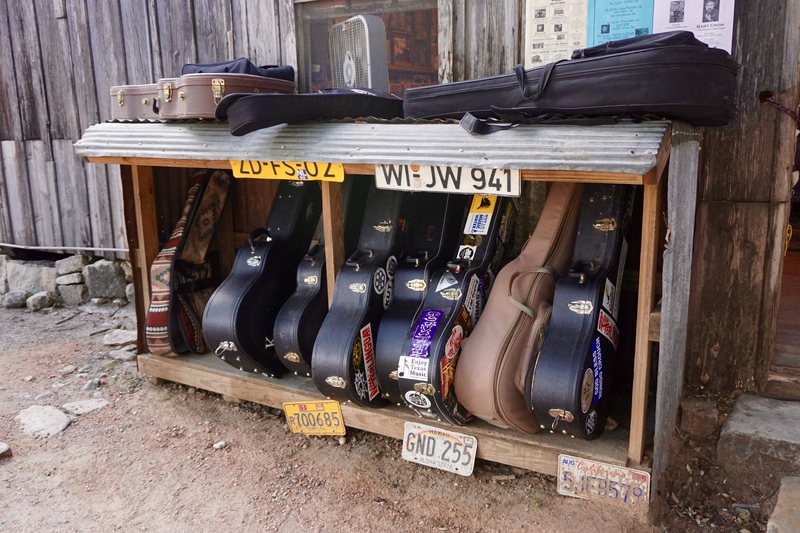 Luckenbach hosts live music every single day. 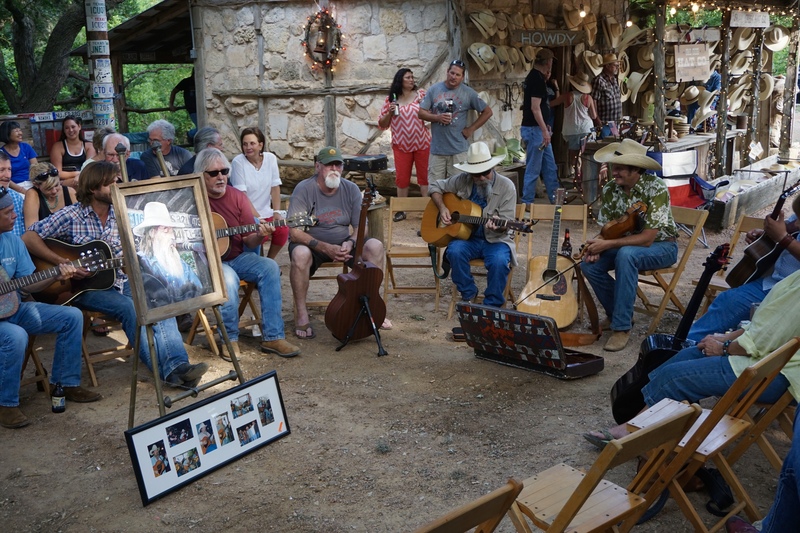 The acts range from local artists to big names like Waylon Jennings and Willie Nelson,as well as informal pickin’ circles, like the one we stumbled upon. This circle was actually a memorial in honor of a local artist named Cowboy Doug Davis. We did not personally know Doug Davis but the memorial was open to the public and they were happy to have an audience. The music was fantastic and the whole scene reminded me of my parents and their friends and the acoustic song circles they would have on Sundays after hosting a big party the night before. It was all so familiar that I actually had to look around and see if I knew any of these people. 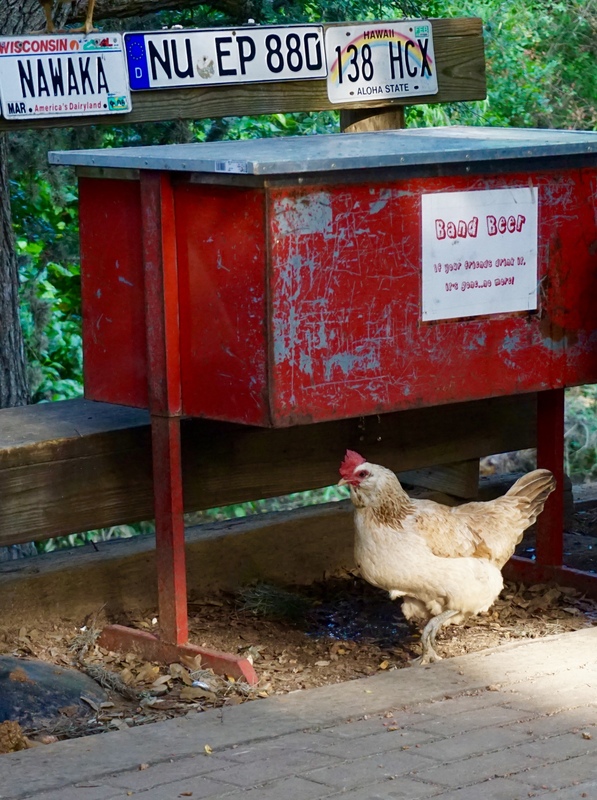 Luckenbach is also home to a friendly bar cat (not pictured) and a flock of chickens who’s crows occasionally even match time with the music. 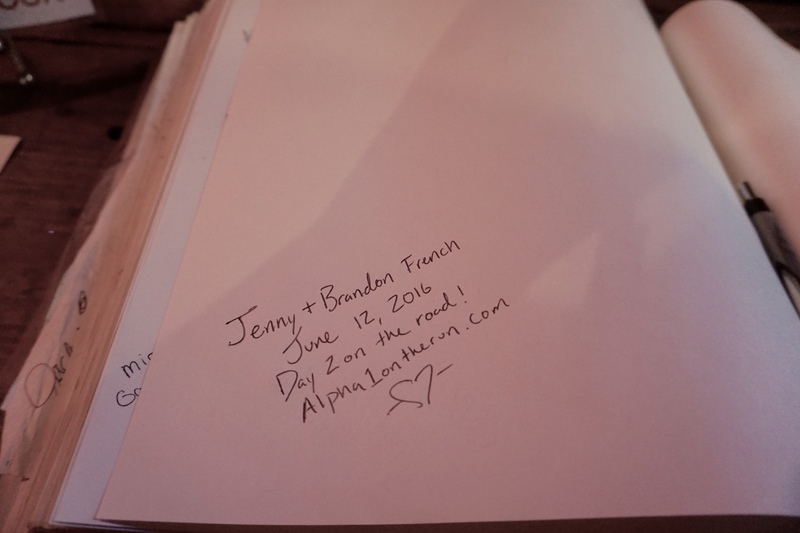 Adding our names to the sign-in book for posterity. 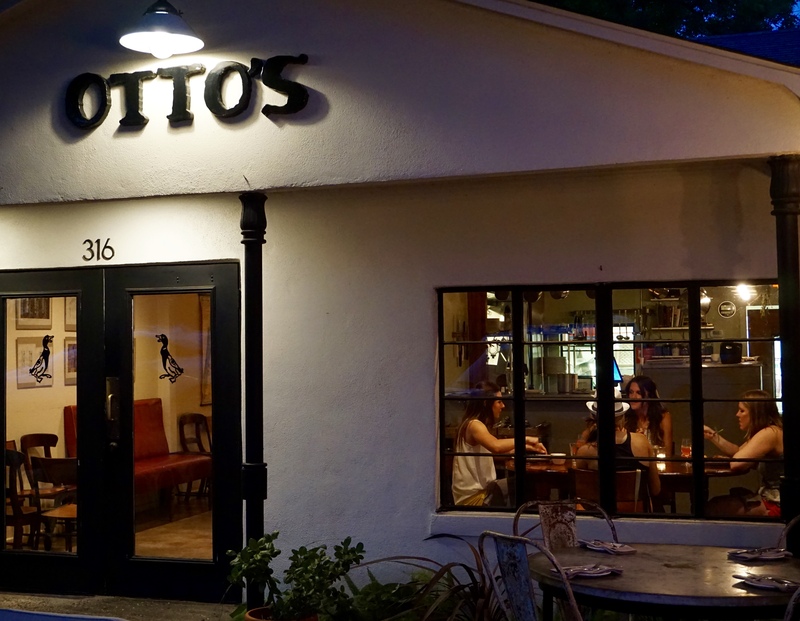 To cap off a fabulous birthday we had dinner at Otto’s, a wonderful little restaurant in Fredericksburg. I really enjoyed the gourmet food with a surprisingly unpretentious atmosphere. I also had quite possibly the best steak I have ever eaten. The following morning we slept-in and it was lovely. Just because we are on a sort of long-term vacation does not mean that every moment must be jam-packed with activity. 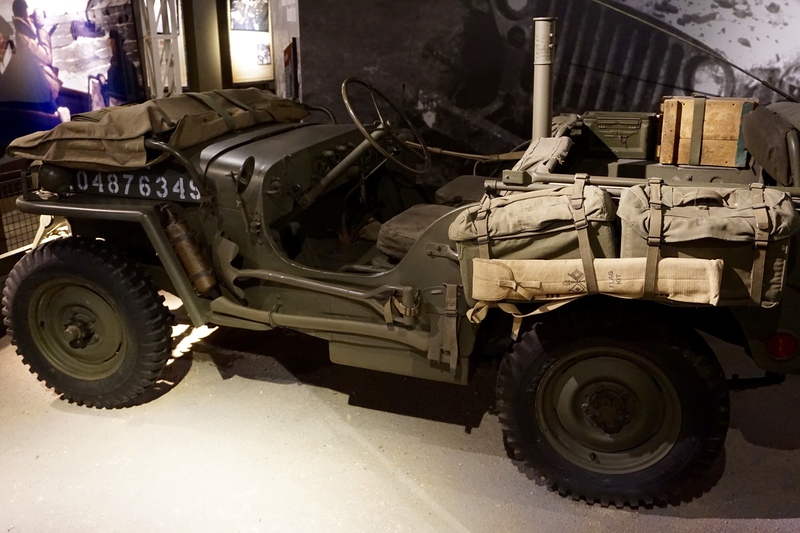 After sandwiches on board we went to the National Museum of the Pacific war in downtown Fredericksburg. 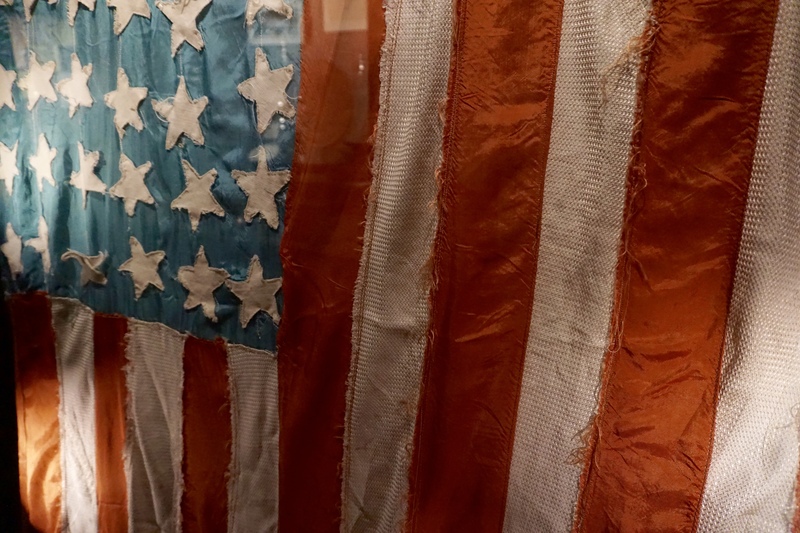 Fredericksburg was chosen as the location of the museum because Admiral Chester W. Nimitz was born and raised in Fredericksburg. 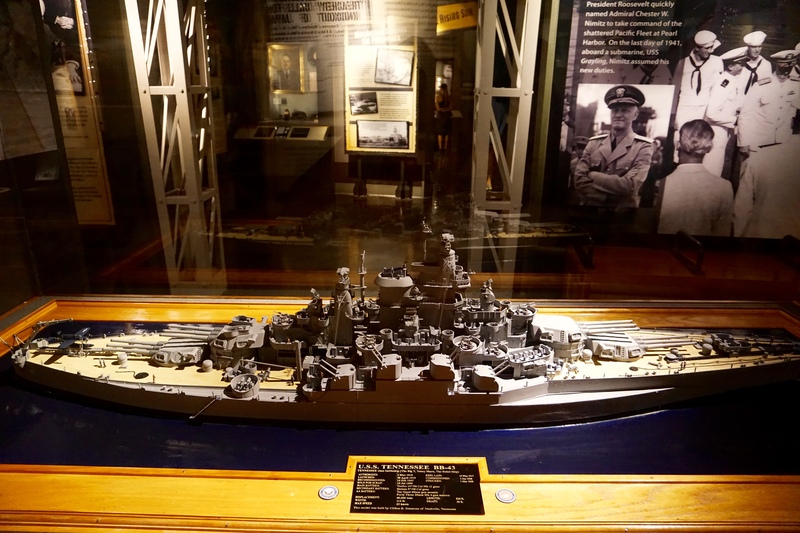 Nimitz was placed in command of the Pacific Fleet by President Roosevelt following the bombing of Pearl Harbor in 1941. 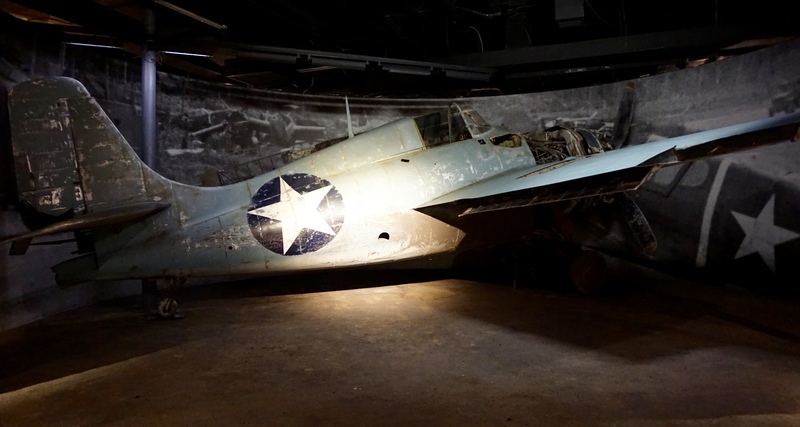 Even if you don’t particularly like museums or war history, I highly recommend checking this place out. 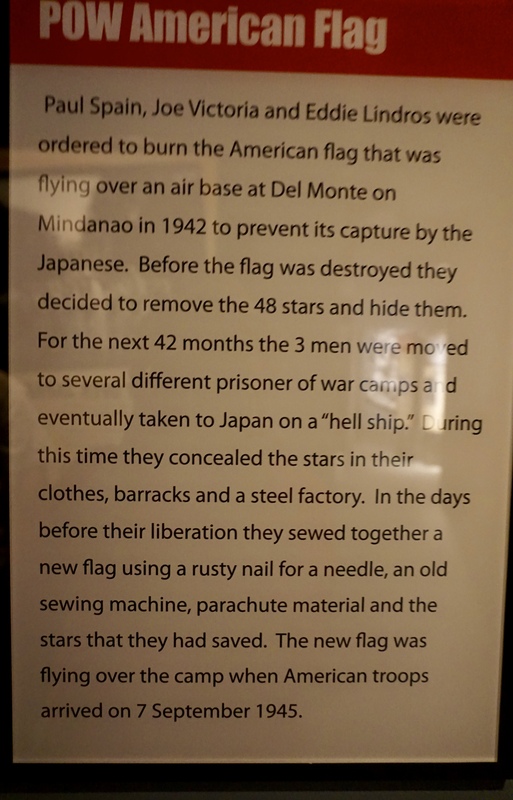 The museum is very well done and actually pretty powerful. 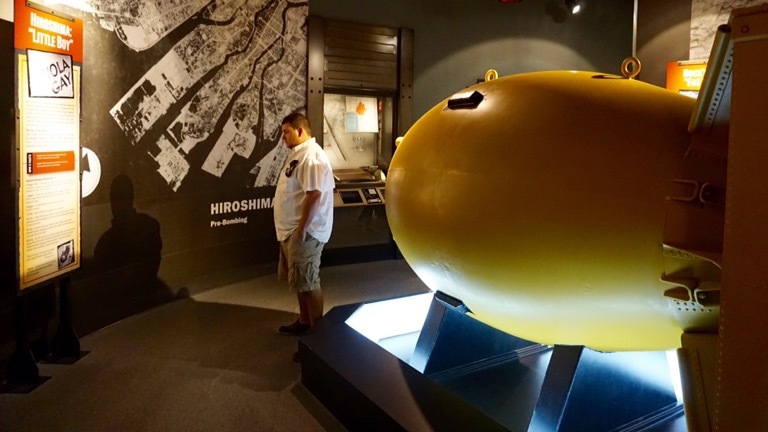 You are led through a long series of exhibits beginning with colonial tensions in Asia during the early 1800s and ending with the dropping of the atomic bomb on Japan. There are interactive exhibits throughout with audio, film, and music. 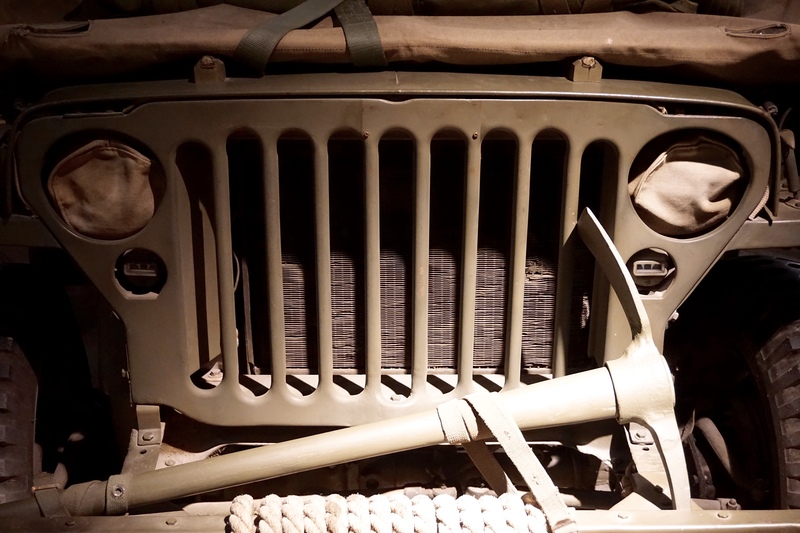 I felt that what made this museum better than others I’ve been to was the layout. You are very naturally led through the exhibits chronologically which helps everything make sense while also building suspense. When you leave the artificial light of the museum (and the gloom of the atomic bomb exhibit) you arrive in a memorial courtyard with plaques and flags honoring different veterans. 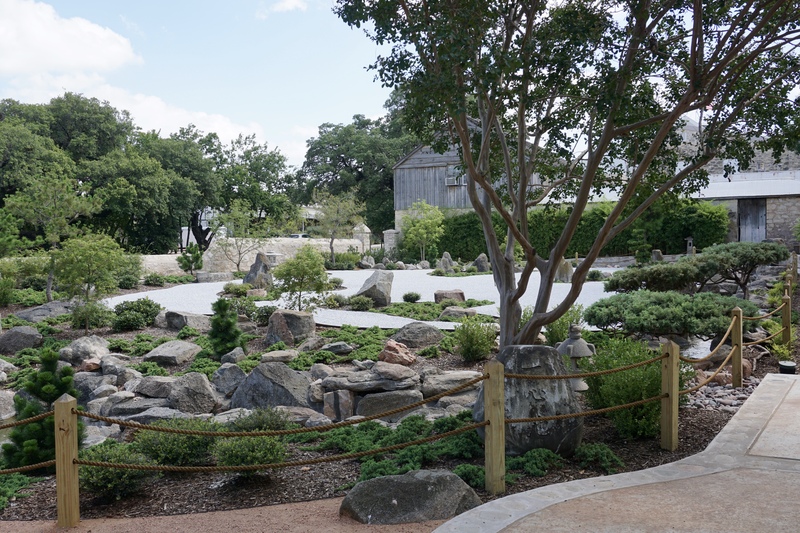 Next to the courtyard is a Japanese zen garden that was a gift from Japan. It was a nice touch. 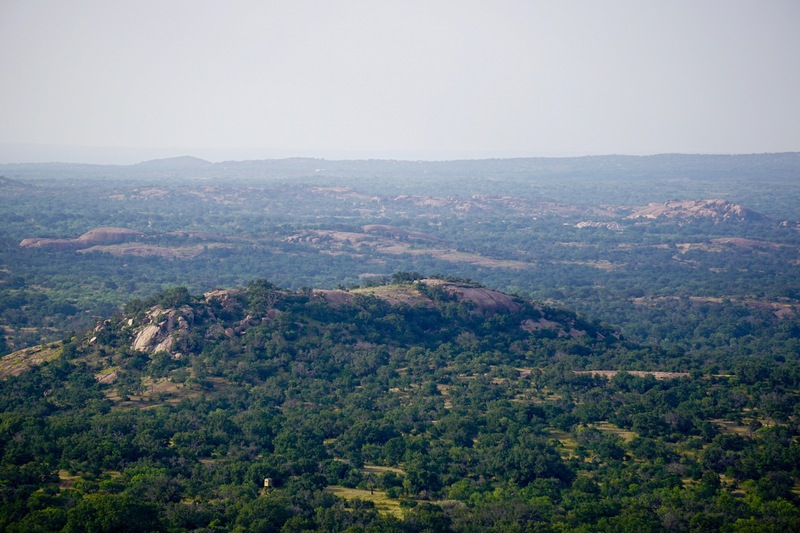 Our plan for the evening was to hike Enchanted Rock, a gigantic granite dome just outside of town. Neither of us had been there since we were kids. 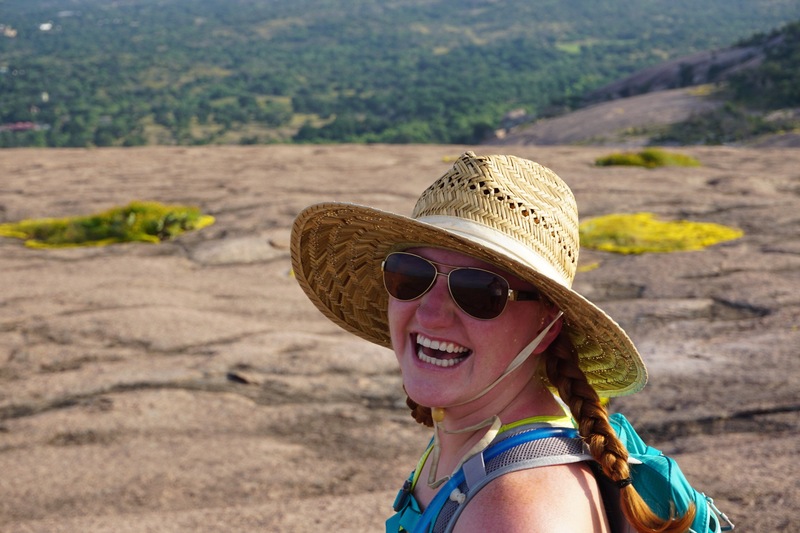 The last time I remember hiking the rock was as a girl scout! 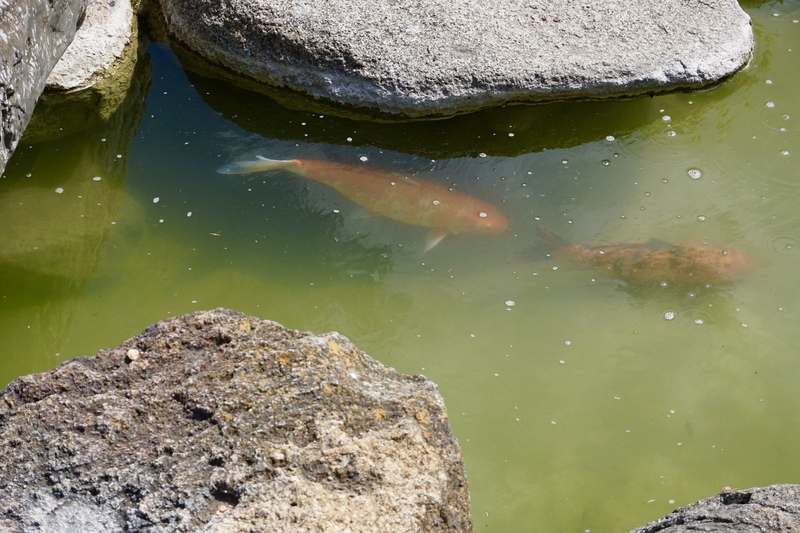 With temperatures in the mid-90s we thought it was a good idea to wait until evening. In retrospect we should have waited longer because it still felt like an oven outside and we were too early for sunset when we made it to the top. To get to the summit trail from the parking lot you pass over a concrete foot bridge that lets water from the creek pass. 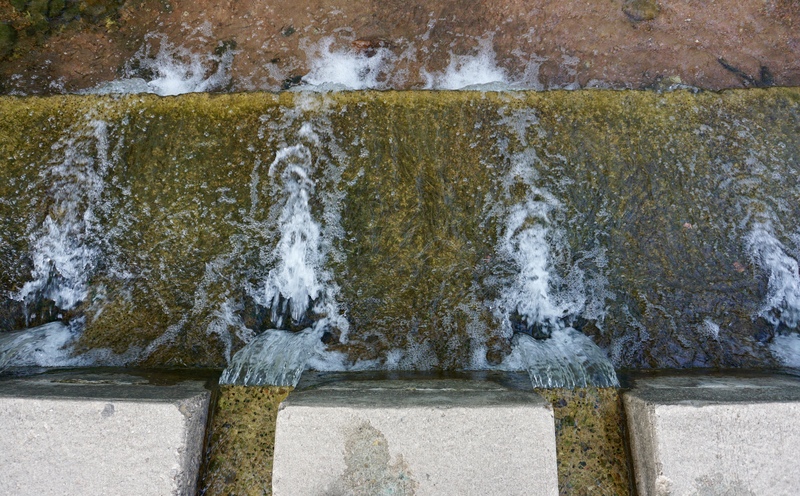 With all of the recent rain in Texas, the stream was very happy, but not as happy as the nest of snakes enjoying the water and munching on minnows. We counted nine of these guys but I’m sure there were others that we didn’t see. The snakes scared me at first, until I realized they couldn’t actually get onto the foot bridge. 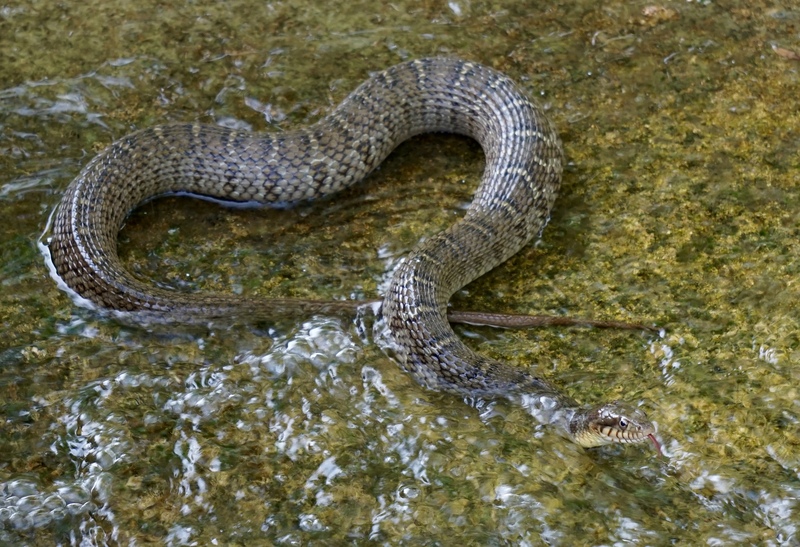 We thought they were venomous water moccasins until we got home and googled a picture of an actual water moccasin. I had always heard that you can identify a poisonous snake by its pointy head and these heads seemed pointy enough. For future reference, you can tell the difference between a venomous water moccasin and a harmless water snake by their eyes. The venomous snake will have virtical slits for pupils. The harmless snake will have round pupils, like the one below. The habitat of some happy (and harmless) water snakes. How many can YOU spot? 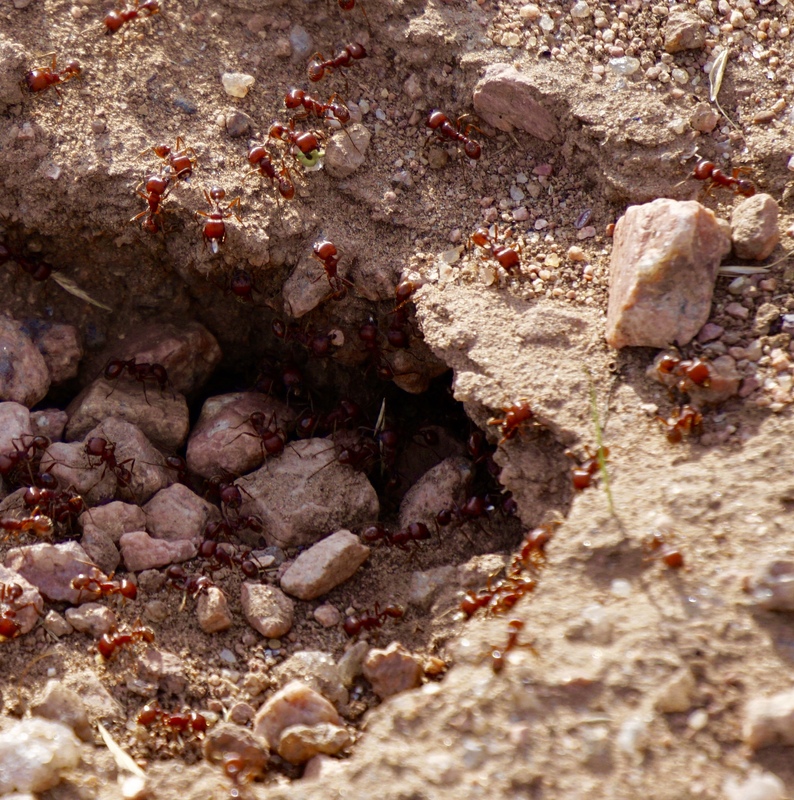 These ants, on the other hand, are not harmless. They will bite you and it will hurt. When in Texas, it’s generally safe to assume that most bugs (and all ants) will bite you. Apply bug spray liberally. 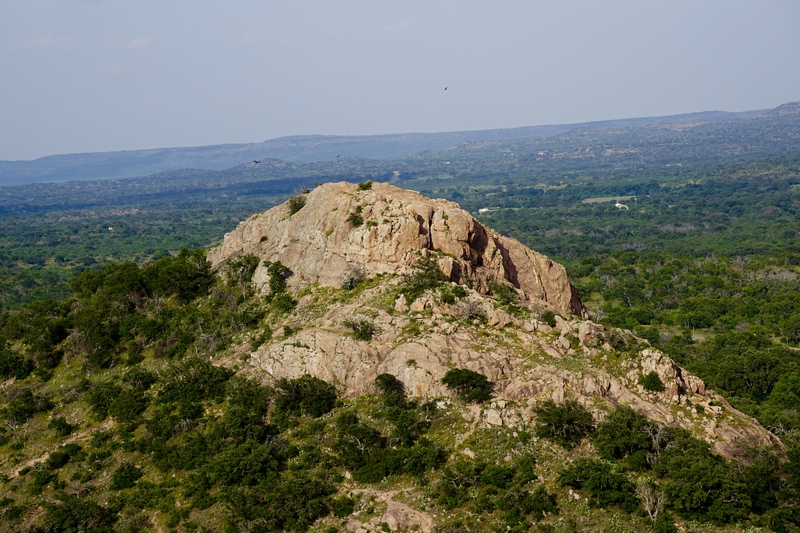 This is not Enchanted Rock, but rather the other gigantic rock next door, which I assume is more popular with rock climbers than hikers. The view from about half way up the dome. We are parked next to the middle red-roofed building. Although the trail to the top is less than a mile, it is very steep. Being in at least moderately good shape helps. All in all, it took us about an hour and a half to hike up and back, including many stops to catch our breath and take pictures. 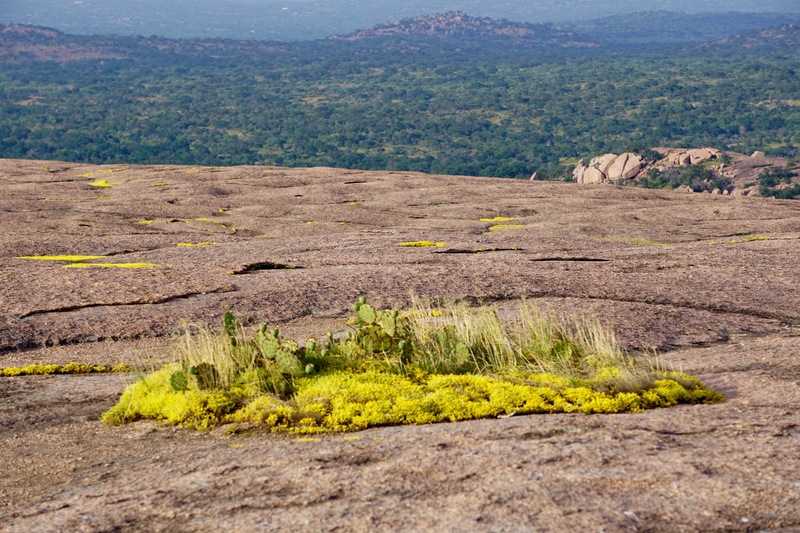 The top of the dome is covered in little dimples full of bright yellow moss, grasses, and cacti. If you visit, leave the plants alone. 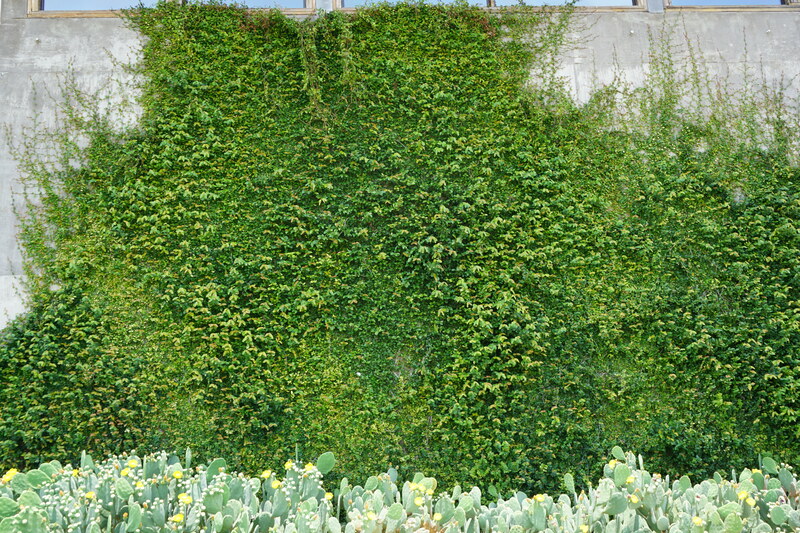 The ecosystem at the top is very delicate, despite being tough enough to survive intense sun and high winds. 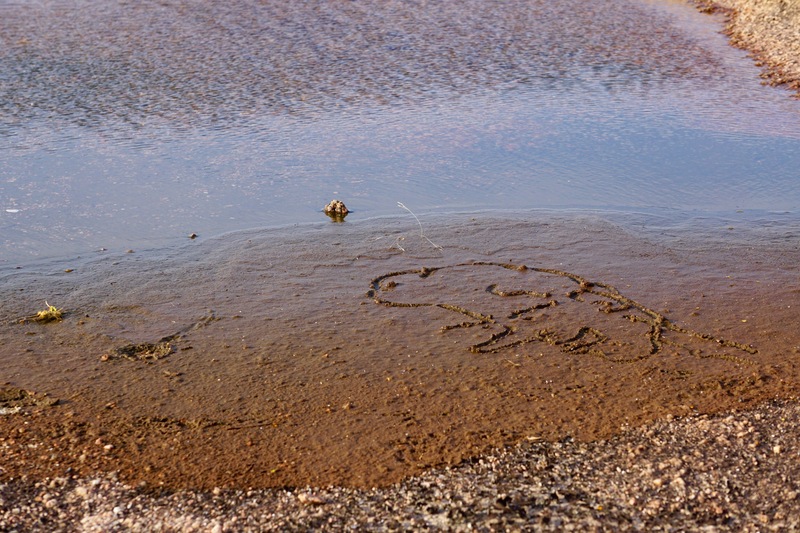 A pool of water at the top with a drawing in the mud that looks suspiciously like Beevis from Beevis & Butthead. 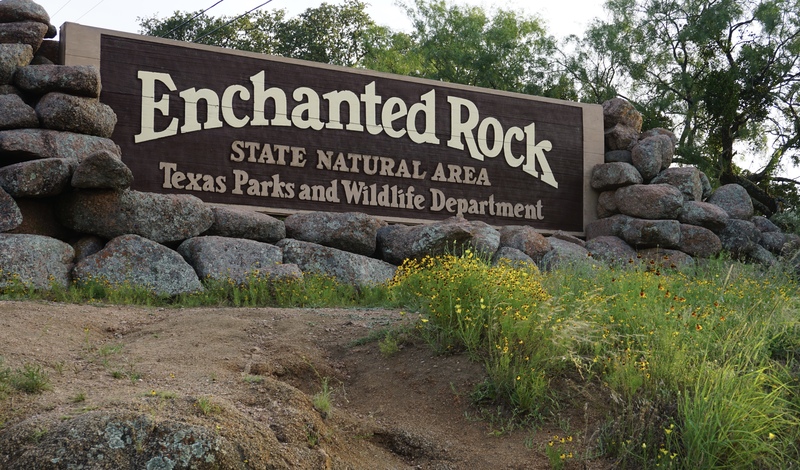 This would probably slide, but vandalism at Enchanted Rock is taken very seriously. A group of college students were arrested a few months ago for spray painting on the rock. Someone caught them on camera and the photo made the rounds on Facebook and local news outlets until they were identified and arrested. Seriously, don’t mess with Texas. 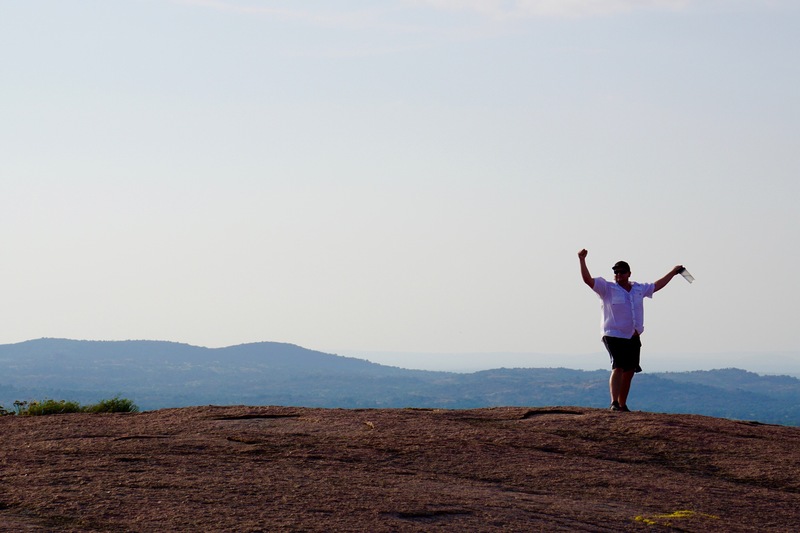 The view from the top will take your breath away, if you have any left after the hiking all the way there. On the way home Brandon asked me if I thought three days was enough time in a place like Fredericksburg. I told him “Probably not, but I think we should start heading north.” When we got home, around 9:30 PM after stopping by the grocery store, we started making a list of everything we needed to clean or pack away before we left the next morning. It was a long list. Three days is apparently not enough time. Or we need to come home earlier when we plan on leaving early the next morning. 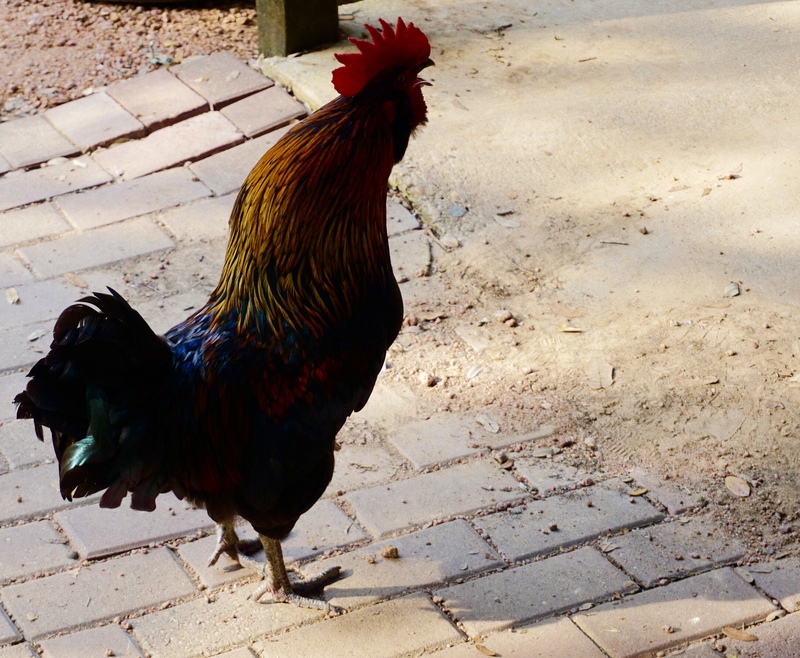 So we stayed one extra day in Fredericksburg. We had to move three spots down in the RV park but that’s no big deal. We spent the rest of the day wandering around the many shops on Main Street. Brandon found a new floppy hat and I bought a squeak toy to mail home to Rudy (our super cool dog that Brandon’s mom is taking care of while we travel). Rudy’s new toy is a rubber pig that oinks when you sneeze it. Rudy is gonna love it! It will probably drive everyone else nuts. Sorry guys! We also had some delicious (and humongous) burgers at Burger.Burger before heading home at a decent hour to get ready to hit the road the next day. NOTE: If any of you are in Fredericksburg, go try the smoked brisket burgers at Jennie’s Smoked Burgers and let me know if they are as delicious as they sound. We were very disappointed to find they were closed on Tuesdays. 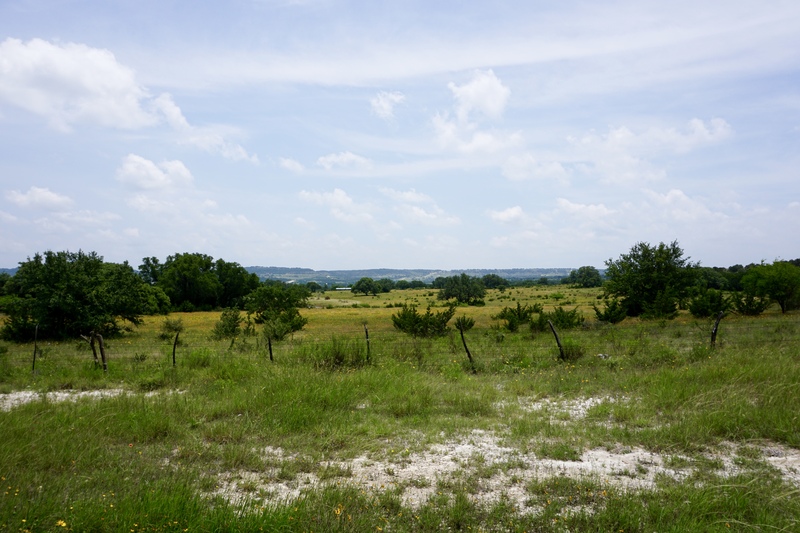 Tomorrow we’re driving north through the Texas Panhandle on our way to New Mexico and Colorado! Previous Previous post: Yes, we’re still in Texas . . . Thanks Mom! We love you too. And based on highest number of comments, you’re also our biggest fan! 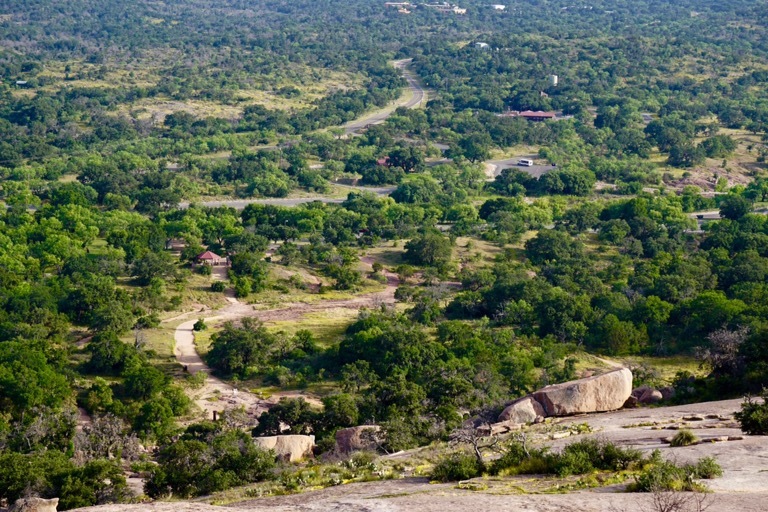 If you really want to paint a granite outcrop there is one off why 29 between Buchanan and Burnet that gets painted with regularity. I do believe the owner isn’t very happy about it. Yes i’m guilty and so is my sister Jayne and i believe all of my brothers. Just saying!